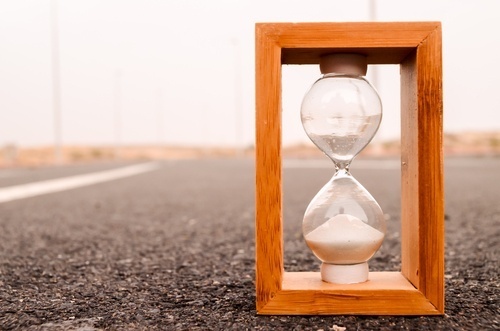 One point of difficulty for marketers, especially for marketing agencies, is time tracking. Timesheets tend to get put toward the bottom of the to-do list. People with creative spirits (i.e. marketers and designers) often find themselves resentful toward the idea of being micromanaged by having their time tracked. Truth be told, they may also want to avoid truly knowing if they have been wasting time or spending too much time on one project. Because marketing agencies typically work within the confines of billable hours, tracking time isn’t just an annoyance imposed by higher powers in order to make everyone more miserable. Timesheets offer useful and necessary data that help an organization understand if projects are profitable and within budget. Often, instead of keeping track of hours in real time, employees will make an educated guess as to how many hours a particular project took. This tendency toward inaccuracy works against the organization. Information gleaned regarding estimated hours vs. actual hours spent on a project helps the company bid more appropriately and set project prices more accurately in the future. But if the marketer doesn’t track the actual time and is only guessing, accurate information is lost. Time tracking (and time tracking software) also keeps your team from over-committing on project. With an accurate portrayal of what time resources are being allocated, there’s less likelihood of over-promising to a client and then not being able to deliver on time. Explaining the reasoning behind time tracking and helping employees understand the benefits to your organization may help mitigate some of the negative responses. Help employees and managers understand that a time tracking system is not meant to be a babysitter and does not communicate a lack of trust. Instead, it offers insight into a critical commodity upon which your organization runs: time. Top-down sponsorship is critical. It's natural for managers and directors to want to understand how time is being used in their company. Provide not only initial training, but also give ongoing support to your employees on your new software program. Help them understand how to use the time tracking program to their own advantage, they may be much more willing to buy in. The more user-friendly your time tracking software is, the more compliance you'll see. Find creative ways to thank your employees for complying with their timesheet tasks, such as recognition or small gifts. Creative incentives might include extra breaks or time earned back for simply turning in their timesheets when they are due. Choose a time tracking program that is easily integrated into the rest of your employees’ regular rhythms, whether in calendars, mobile devices, or project management software. Making the timesheet a natural part of the workday encourages compliance and means that people aren’t logging into a spreadsheet and making everything up at the end of the week or month. If your employees and organization are truly going to benefit from the implementation of time tracking, then the software must be used to understand where you are and where you are going. Once you’ve analyzed your time, use this information to set goals for better efficiency, higher productivity. Your analytics will help cast these goals for your organization to work together to meet. Regardless of the software you choose, remember the the overarching business goal behind time tracking. You can't manage want you can't meaure.